Animal Wildlife | Ant | The ant is a small sized invertebrate that is found all around the world, with the exception of the polar regions including the Arctic Circle and Antarctica. As with many other species of insect, there are numerous ant species inhabiting many different environments all around the world. There are more than 12,000 recognised species of ant worldwide, but there are estimated to be nearly 14,000 in total. Ants are thought to have developed from wasp like creatures 100 million years ago after blooming flowers appeared on Earth. 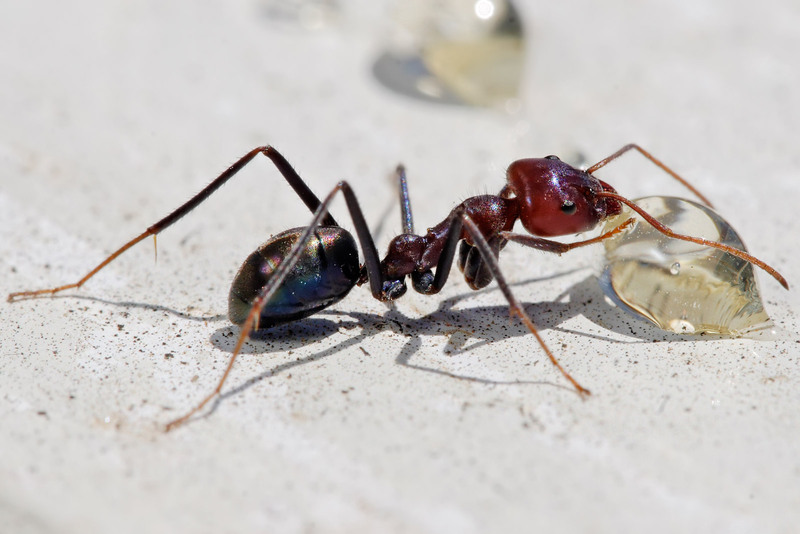 Ants are found in many different sizes and vary in colour depending on the species of ant. Some species of ant even have wings so are able to fly which only extends the range of their territory. In the more humid environment of the tropical jungles of the Southern Hemisphere, the ants are generally of the bigger species, often reaching more than a few centimetres long. Ants are extremely sociable insects and have a complex social structure where every ant individual has a purpose (effectively a job). Ants live in colonies and have a social structure from the worker ants that gather the materials and food, as well as nursing and caring for the ant larvae (the babies), to the queen ant that runs the nest and is the only female that reproduces in her colony. 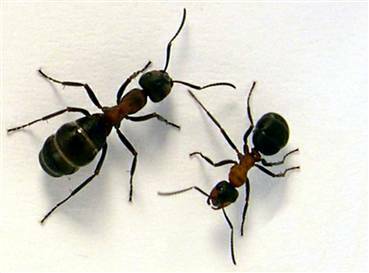 The queen ant often can live for over a year which is considerably longer than the lives of the worker ants which only really last for a couple of months. The queen ant produces between 800 and 1,500 eggs per day which are fertilised by the sperm of the male ants which is present in the nest. Remarkably, ant eggs that have not been fertilised will still hatch but produce sterile female ants that become worker ants as they cannot reproduce. Ants are omnivorous animals and therefore eat a mixture of both plant and animal matter. The diet of the ant primarily consists of leaves, fungi, honey, nectar, small insects and dead animals, although the exact diet of the ant depends on the species. 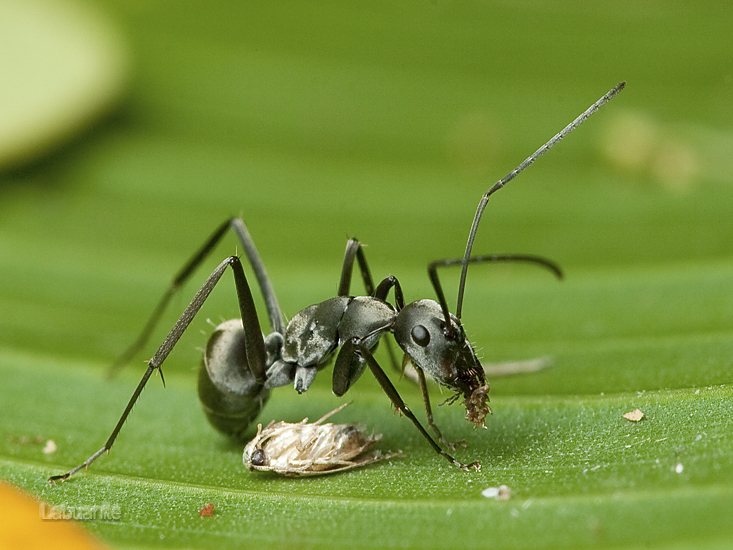 Some ants species have a more herbivorous diet, where other species of ant mainly eat meat. 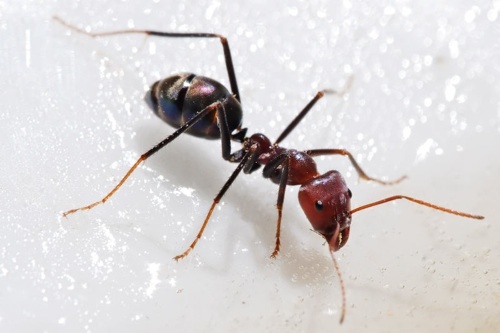 Due to their abundance and small size, ants have numerous animals that prey on them from tiny insects to reptiles, mammals and fish, and even certain species of plant have also developed ways in which they can digest them. An ant is said to be able lift up to 50 times its own body weight, and be able to be pull more than 30 times it own body weight. This is the equivalent of an average human adult lifting a fully grown African elephant!